In 2009 Jeff and I traveled to England and Scotland. It was a perfect trip! I took this picture from inside the stone circle at Stonehenge, something you can only do now as part of a tour group. My wonderful husband set up the tour for us because he knew I couldn't get that close to this famous historical place and not go. He knew that because I mentioned it once or twice. Or maybe a few dozen times. Whatever - he knows how to take a not so subtle hint! From his perspective it's just a bunch of big rocks that don't do anything, and haven't done anything for thousands of years. For me, it's a place of mystery and wonder. I walked around the circle and touched every rock. I have a picture of each one. I stood and listened as our wonderful guide, James, talked about the people who created it and how it was used. I daydreamed about time travel and what it would be like to walk between two of those stones and be transported back in time - just for a little while - to witness the actual history of this place and its people. There was a quiet satisfaction in being there for a short time. No big fanfare. No parades and music. Just a moment of wonder and awe and connection with God. I always feel that when I'm in an ancient place. The God who reigned when Stonehenge was created already knew me - everything about me. He was waiting for me to get here so he could begin to fulfill his purpose in me and allow me to have a small part in his master plan. I feel that same quiet satisfaction as I publish my first book. It is a dream, accomplished without fanfare but so special in my heart. It makes me thankful and in awe of what God can do with me. With you. What is your dream? Are you allowing God to work it out in you? Don't wait to be perfect. God shows his best work when he uses imperfect people - that would be you and me - to fulfill his plan. 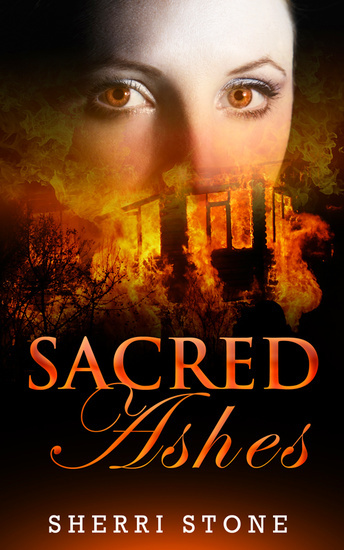 Sacred Ashes is just a story, but God allowed me to tell it in my own way. It was the fulfillment of a dream for me, and I have entrusted it to him to use as he sees fit. There is always a quiet satisfaction in realizing a dream, and the great thing is it energizes you to move ahead to the next one. God will never run out of things for you to do. Are you ready? Are you willing? Thanks for sharing a bit of my dream.